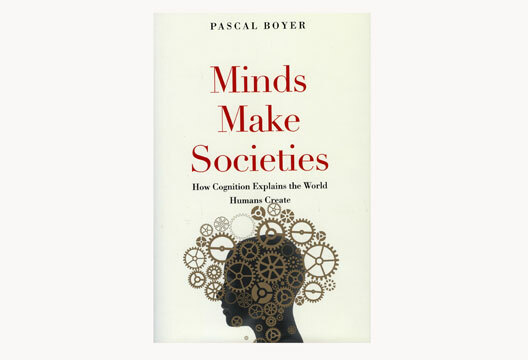 At one point in Pascal Boyer’s Minds Make Societies the author discusses that couples need to consistently show ‘honest, hard-to-fake signals of commitment’ in order to ensure that their relationship lasts in the long-term. Boyer, a psychologist who also studies anthropology, has offered compelling arguments on how self-perception is shaped by the ways other individuals recognise or see us through the lens of culture. He also evokes the image of the ‘hard-to-fake signal of commitment’ as a metaphor for how individuals demonstrate their need to belong to a collective effort that moves society forward. Readers will be intrigued by his prosocial arguments about human behaviour, even if they have little interest in the chapters on organised religion or on family and kinship. Boyer describes the multiple hierarchies that make up the framework for how we understand society, with the help of research studies that emerged before him. He also draws attention to how the individual is constantly evolving when they commit to making room for more members of society to thrive and succeed. An individual human being does not have to be perfect in order to be valued as having the potential for self-actualisation. We are not compelled to cooperate as a society unless we are reminded of the chances we have left to further increase our commitment toward bettering ourselves. The chance to meet a more self-realised version of who we are as individuals in the future is too good a prospect to pass on. Who would want to miss out on an opportunity to meet themselves through the presence of others? We may not like how we are viewed from every angle by people different from us, and yet, as Boyer observes over the course of the book, we love a good mystery and choose to invite human difference into society as a way to better our commitment toward protecting the existence of the individual.